Although STEM employers spend billions of dollars to improve gender equality in their fields, women still face huge obstacles. Many highly-qualified women feel stuck in their careers, and more than half quit their jobs over time, according to Center for Talent Innovation (CTI) research. 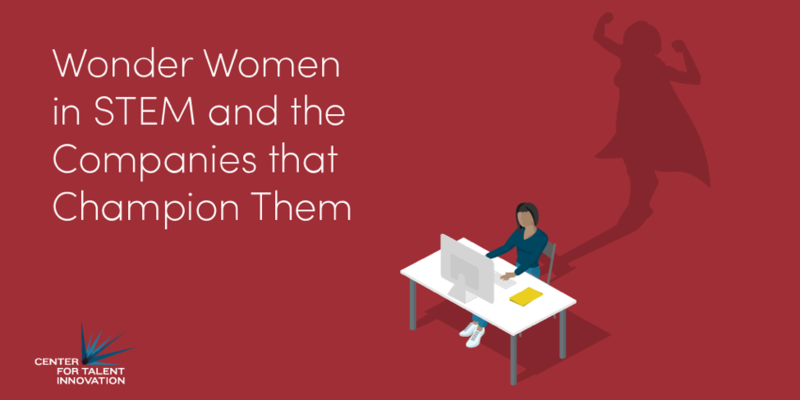 To address this, CTI’s new study, “Wonder Women in STEM and the Companies that Champion Them,” uses a data-driven approach to identify strategies linked to increased retention and career advancement for women, and shares insights from women who have achieved success in STEM careers. Booz Allen is one of the sponsors of this research. To that end, the study also identifies six strategies used by successful women in STEM, independent from any employer-led initiative—including likelihood to invest in peer networks and confront situations when their contributions are ignored. The complete list of research sponsors includes Audible, Bank of America, Bloomberg, BNY Mellon, Booz Allen Hamilton, The Depository Trust & Clearing Corporation, GE, Genpact, Intel, New York Life, PepsiCo, and Sanofi U.S.